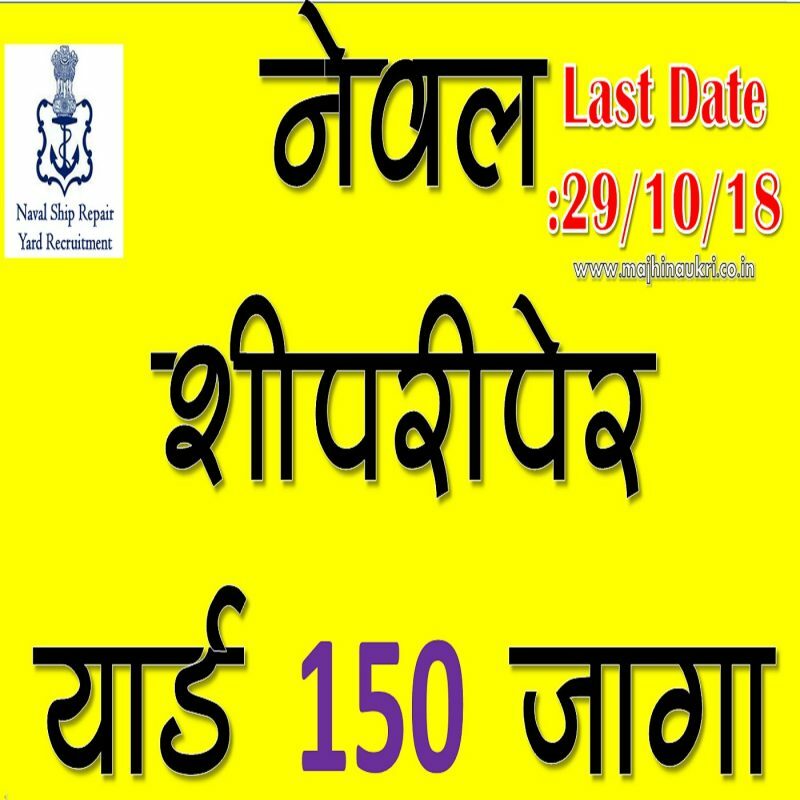 नेव्हल शिप रिपेअर यार्ड 150 जागा. Remaining Posts: Candidates scored above 50% marks in Matriculation or equivalent and above 65% marks in the relevant ITI trade recognized by National / State Council for Vocational Training (NCVT / SCVT). Fully filled application form with relevant document copies are to be send to “Officer-in-Charge, Dockyard Apprentice School, Naval Ship Repair Yard, Naval Base, Karwar, Karnataka – 581 308”.